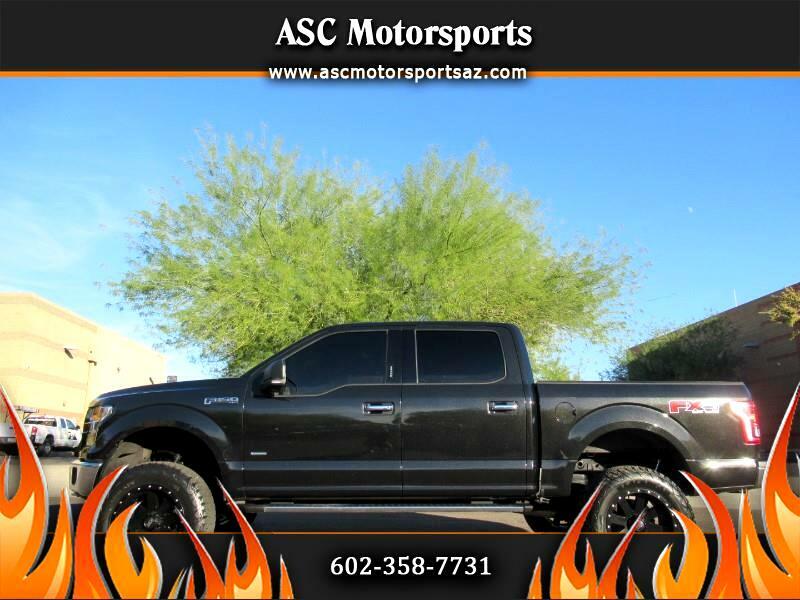 2015 FORD F-150 FX4 LIFTED 4X4 CREWCAB LOADED LEATHER!!!! Gorgeous truck with 66k miles, two owners, clean car fax, black exterior and two tone leather interior, sitting on brand new 35" tires and brand new 20" alloy black wheels, spray In bed liner, heated seats, dual power seats, power windows, power locks, power steering, power mirrors, ice cold A/C, cruise control, tilt wheel, AM/FM touch screen stereo, parking sensors, back up camera, running boards, tow package, tinted windows, power sliding rear window, twin panel moon roof and more!!!! Priced at only $32,888 + Tax, Title and Doc. Fees!! !